Create a unique and exciting experience for your students or group, as you dive into the world of wonder and water with the Aquarium’s education programs. Journey from “North Carolina’s Mountains to the Sea” to be immersed in fun and learning with the Aquarium’s most interesting animals.There are a variety of engaging learning opportunities for your group. Students can explore the Aquarium on a teacher-led tour, participate in a live animal program in the Big Rock Theater, research exhibits and species with interactive scavenger hunts, or become scientists through hands-on classroom activities or outdoor field experiences. 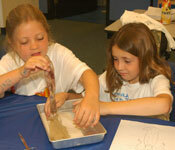 School Programs for PINE KNOLL SHORES near Atlantic Beach. 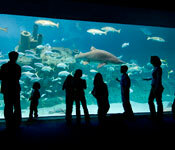 Please check the location to make sure it is the Aquarium you intend to visit. 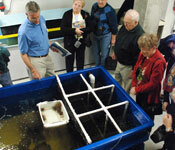 where students dive into the world of wonder and water with a wide array of educational exhibits and programs. Behind the toothy smile of this large wetland animal is a huge creature with armored skin and an incredible diet. 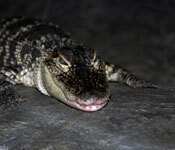 Come see our live alligators that are uniquely adapted for survival. Float on in to discover the wonder of these misunderstood ocean drifters. 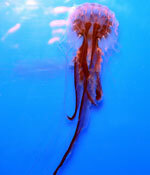 The featured guest of this presentation is one of the Aquarium’s moon jellies. The discussion includes the life cycle and structure of this jammin’ jellyfish! 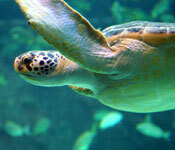 Sea turtles are some of the oldest, most intriguing and fascinating reptiles on the planet. 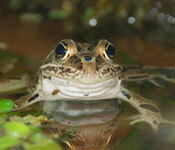 Explore the life history and adaptations of these threatened and endangered species. Don’t be afraid! Come and learn the basics of these misunderstood creatures, and replace fear with fascination. 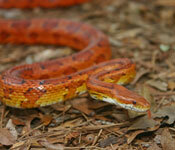 A live snake tells the story of these amazing legless reptiles. Educators help explore ectothermic friends by presenting live amphibians, life history facts, and the unique traits of a few of these important species. 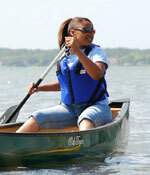 Introduce your group to the wonders of water! Students learn about the water cycle and the importance of clean water through hands-on water testing and animal explorations. Participants test the pH and salinity of several Aquarium exhibits to determine what types of wildlife survive in each environment. 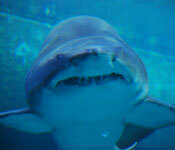 How do sharks survive challenges of nature and those presented by humans? The Aquarium's live shark displays provide an ideal living classroom for students to explore the challenges sharks face and how they have adapted to survive for more than 400 million years. Students tour shark exhibits to observe live shark behavior and adaptations, and touch models to discover sharks’ unique design. What do squid, mussels and snails have in common? They’re all mollusks! Through scientific observations and squid dissection, students discover the special characteristics of the phylum Mollusca. 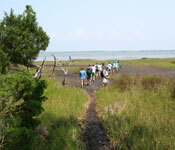 Bring your old shoes and gear up for discovery on a trek through the maritime forest to the salt marsh and shallow waters of Bogue Sound. Explore the creatures that inhabitat this fragile system and why they are so important and need our protection. 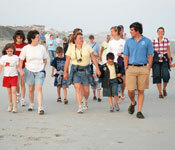 Take a hike down the beach to discover the importance of protecting this fragile habitat. Students learn the value of dune management and habitat protection as they discuss seashells, sea turtles and ocean waves. 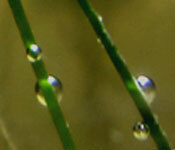 Explore protected marsh habitats and the diversity of coastal nurseries with an Aquarium naturalist. See migratory birds that depend upon these flyways for survival. Paddle through tidal flats and quiet backwaters and become aware of the intricate web of life thriving in this pristine environment. Boats and equipment are provided. 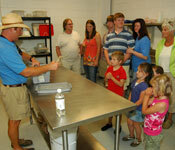 Participants visit the Aquarium’s food preparation areas, animal holding areas and husbandry laboratories. The program features a spectacular view of the Living Shipwreck from above. Closed-toe shoes are required. This comprehensive tour includes a close up of food preparation areas, labs, animal holding areas, and a spectacular view of the Living Shipwreck from above. Participants also enjoy hands-on husbandry experience and assisting staff in food preparation and broadcast feeding the fishes in our largest tank! Closed-toe shoes are required.